We are fine, we are blessed, we are incredibly lucky…this is what I tell myself and others as we continue our unexpected journey. Lives do not go as planned and that is okay. You live, love and LEARN a lot!! I’ve been inspired to share a bit of our story as both of our boys have a Primary Immunodeficiency (PI) and Food Protein Induced Enterocolitis (FPIES). I must admit it is difficult for me to share because we are rather private about the details and personal health issues our little ones have experienced. To many, this may sound strange. We felt the more we told the more real it became. We do not want it to define who they are. They are so much more! We also realize everyone has something they are dealing with in their own lives and we never want to complain or for people to feel sorry. That being said, we have decided to let you all in, to not only spread awareness but reach out to like families and hopefully gain more insight/resources for our own. Educating ourselves is imperative! 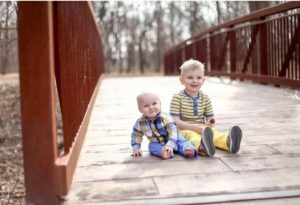 Declan is 4 and Otto is 1, both diagnosed before a year of age. Being proactive along with their wonderful pediatrician led to their early diagnosis. 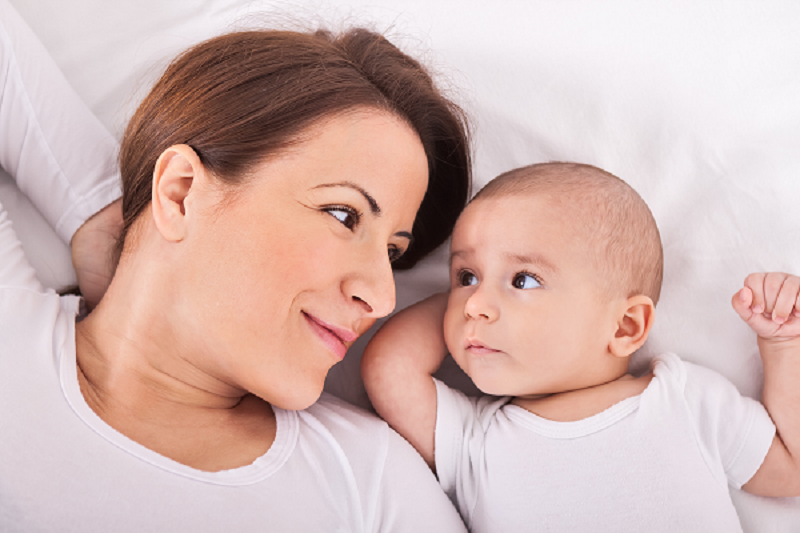 I know people say this a lot, but really…ALWAYS trust your maternal gut! Deep down, you truly know! When the Specialist first explained the conditions were rare, we did not fully understand the meaning of the word until recently. We have learned a great deal over the past four years, but when physicians don’t even know how to help at times, it’s a real struggle! The unknown is awful, but when you finally receive a diagnosis that is considered “rare”, there is still more unknown than you can ever imagine. This is our normal! We are incredibly lucky to have found an amazing team of doctors, resources and treatment plans to keep our boys their healthiest. We still go and do a lot but sometimes there are consequences. When Declan and Otto catch even the common cold, it usually lasts 2-3 weeks and they get run down unlike others. We are nervous about Declan starting preschool, but we have to try for him. The reality is he will miss quite a bit or we may even have to abort the mission. Declan is very social and excited for this new chapter, so we will strive to make it happen! I’m not going to lie and say it’s always easy, it’s never easy to watch your baby in pain. It’s the worst, but Declan has been stuck so many times he would choose an IV over a strep culture! The week leading up to his infusions is difficult. He is exhausted and an insomniac with joint pain which he’s only recently been able to describe/verbalize. Declan will never admit to pain or not feeling well when he is at the beginning of a virus/illness. He has always been a trooper! We are very grateful for IVIG, but pray daily he will not need to continue it forever! Last year, Declan tested positive for Strep from October until March. He has since had his tonsils and adenoids removed along with other changes made for prevention. Both boys are diagnosed with Transient Hypogammaglobulinemia of Infancy, keyword being “transient”! That’s another positive!! There is a possibility of them outgrowing it! Again, we pray every single day! Declan has grown out of his FPIES with the exception of shellfish, which is very manageable. Declan and Otto are also on a Prophylactic Antibiotic which helps protect them from severe infection and significantly helps Otto’s Skin flare ups. He has Inflammatory Psoriasis, another indefinite diagnosis after several cultures and a biopsy. His impressive rash also stems from his PI. With a Dermatologist who thinks outside the box and is extremely detailed with her plans, we have his skin under control for the most part. Both boys see Immunology, Gastroenterology, Sleep, Dermatology and Ear Nose and Throat on a regular basis and that is if we aren’t thrown any curve balls! You know you are on the phone with doctors too much when while playing “pretend”, your four year old tells his little brother to please be quiet while he’s on the phone with the doctor. A Primary Immunodeficiency (PI) diagnosis is a large umbrella containing over 300 different types of PI diseases with varying issues underneath and every individual is quite unique. This is trying, especially when educating ourselves. However, there is a lot more data now than even a couple of years ago for both. Unfortunately, it’s still not enough especially for FPIES. This is our biggest struggle right now. Otto has several food triggers that cause horrible cramping episodes at night along with acute triggers which cause blood in his stool and extreme vomiting. It has improved over time with major food restrictions. By improvement, I mean we know the acute triggers and he wakes a few times a night in comparison to 6-8 times; with the exception of his major episodes which can sometimes last hours. He is preparing for more invasive testing to rule out other possibilities. That being said, it’s tough watching your children get poked and prodded constantly, especially when there aren’t always results to help them thrive. Declan’s FPIES was misdiagnosed more than once. I don’t recall a time when we have been at a hospital or doctor’s office where most look at us as if we are speaking an unknown language when we explain our kids have FPIES. It’s important to have an informative document from your specialist especially in case of the dreaded ER visit. As I mentioned before, we are incredibly blessed and experiencing Declan growing out of some of his conditions is very promising. We will continue to hold our heads high, educate ourselves and spread awareness. Hopefully, sharing a bit of our journey will benefit others or at least help some understand us a little more. Declan and Otto are sweet, beautiful, strong, silly, smart, adventurous, stubborn, and extremely brave boys who will continue to grow, just like your kids!! !